Fine. Minimal shelfwear, the book is clean and unused. Trade paperback (US). Glued binding. 320 p. Contains: Illustrations. Sparknotes No Fear Shakespeare. Intended for a young adult/teenage audience. Very Good. Presents the original text of Shakespeare's play side by side with a modern version, with marginal notes and explanations and full descriptions of each character. Trade paperback (US). Glued binding. 320 p. Contains: Illustrations. 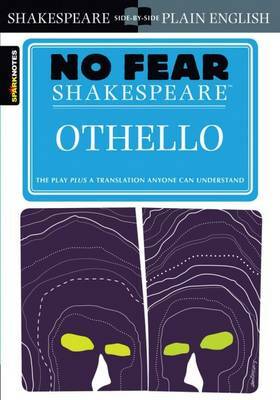 Sparknotes No Fear Shakespeare. Intended for a young adult/teenage audience. Good. Presents the original text of Shakespeare's play side by side with a modern version, with marginal notes and explanations and full descriptions of each character. Trade paperback (US). Glued binding. 320 p. Contains: Illustrations. Sparknotes No Fear Shakespeare. Intended for a young adult/teenage audience.